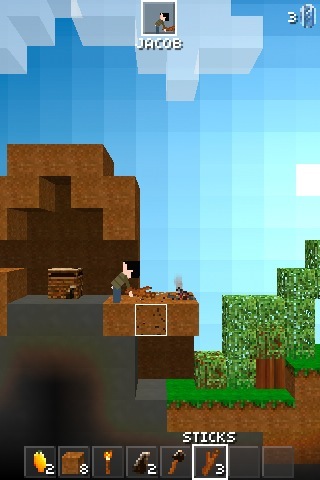 Developer and all-around great guy David Frampton from Majic Jungle Software, creator of the early App Store breakout success Chopper ($2.99) and its greatly improved sequel Chopper 2 ($2.99), has revealed to us his next upcoming iOS project called The Blockheads. Instead of needing to know recipes and being able to craft everything in one location, there are many different kinds of workbenches, each with a handful of items they can craft. The crafting interface lists what is required and describes what the crafted item can do. This creates a technology tree of sorts, easing the player into the game, and slowly making more advanced items available. The Blockheads is being built from the ground up with touch screens in mind, and it will try to utilize an non-abrasive freemium approach. Essentially, there will be an in-game currency which you can spend real money to acquire through IAP and speed up certain processes, but it is also earned through play and won’t be required to enjoy the game. We’ve been enjoying an excellent 2D Minecraft/Terraria game on iOS for a while now with Junk Jack ($0.99), but I still think that there’s plenty of room for iteration in the genre and a chance for a good title to stand out in the sea of the many Minecraft copycats and clones on the App Store. 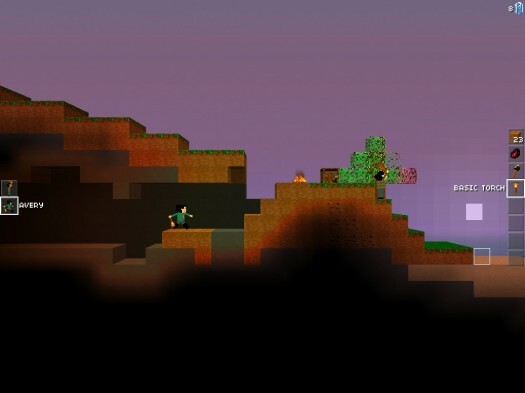 The Blockheads sounds like it has a lot of promise, and I’m very much looking forward to seeing how it turns out. You can keep your eye on the game’s website for updates, and of course we’ll bring you any new information that we get on The Blockheads as development continues.